Starting your child in a long day education and care setting can be a daunting experience mixed with varied emotions for both you and your child. Rest assured that we understand how you are feeling and are here to support you and your child as you transition into this new stage in your family’s life. Please reach out to one of our experienced educators or to our friendly Director if you have any questions or concerns and we will be happy to assist you. Don’t worry – no question is too silly or small! We recognise that each child and their family will adapt to being in a new Kindy a little differently. However, we have found that there are a few things you can do to help make the settling in period as stress free and successful as possible. Schedule an Orientation and some “play dates” with the Centre Director. These visits to our Kindy will allow your child to become more familiar with our staff members within the safety of your presence. During your orientation encourage your child to participate in the activities and meal times on offer as well as getting to know staff and their classmates. Allow your child some time to observe the other children. They may not feel ready to join in straight away and will need to do so at their own pace. Some children benefit from you engaging in an activity with them for about 5 mins-10 mins before you leave. In some cases your child may get upset the longer you stay. If this is the case, our educators may guide you to leave your child with them. Generally your child will settle shortly after you leave. Don’t worry! We will certainly call you if they are still extremely upset and don’t settle in a reasonable time frame. Please remember you can call us at any time – no, it really doesn’t bother us! Never sneak away from your child. We know it can be tempting to slip away while they are happily engaged in an activity. However, this can lead to lots of unnecessary stress for your child who feels they have been abandoned. Please make an effort to say goodbye to your child in a calm, confident and reassuring manner even if this means your child may appear stressed and begin to cry. For some children this is normal but seldom lasts any length of time. Again, we will contact you if your child does not settle. Your child’s educator will be happy to help you establish a “goodbye routine”. Every child is unique. 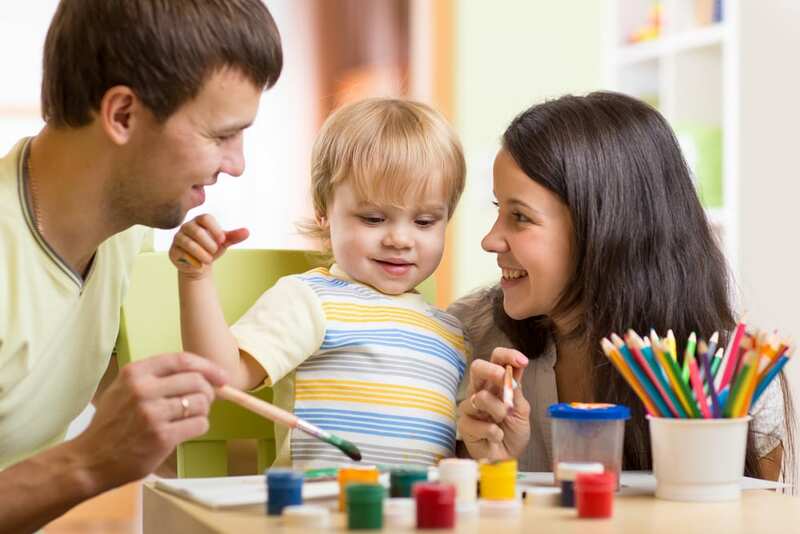 In our experience it generally takes around 6-8 weeks for your child to settle into their new routine and feel comfortable and confident in their new environment. Of course, for a lot of children this will happen a lot sooner and for some it may take a little longer, but our educators will attempt to communicate constantly with you about their progress. Ensuring that they can dress themselves. It is also good if they can do up shoelaces. If your child is upset, stay for a short while and then leave. If your child does not settle, staff will contact you. Expect that your child may be unwilling to come to school the second day/week. It starts to sink in that school is becoming a regular routine.